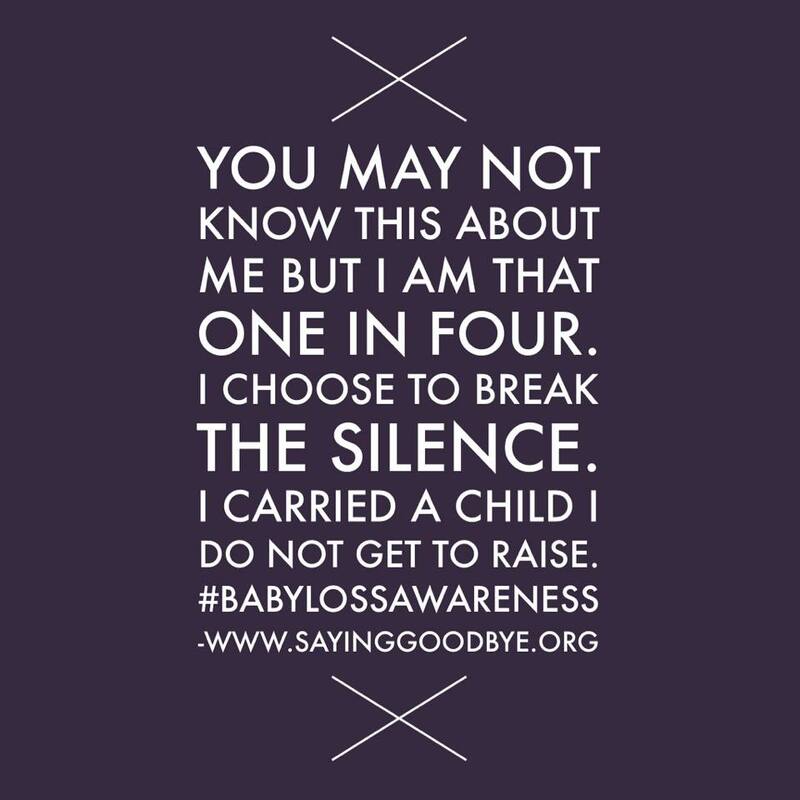 Some of you may be aware that October is pregnancy and infant loss awareness month, a month where parents are asked to speak out about the loss of a baby or child to break the taboo surrounding infant loss. Did you know that 1 in 4 pregnancies end in miscarriage? When you walk along the street, most people you see will have been affected in some way by the loss of a baby. But these babies are often not spoken about, why? People often don’t know what to say I guess, after all what can you say? It will all be ok…. No it won’t, never again will it be ok. You can try again….. Yes I can but that baby will not be this baby, the baby that I have lost, it will not replace the baby I never held. So here is my story, my attempt at breaking the silence, my way of holding on to the memories of my babies, my way of saying to the world they were here, not for long but they were definitely here. I have four children two of those children are my angel babies, I never got to hold those babies, they were never born into this world but they are my babies and they will always be a big part of my life. My first angel gained her wings in July 2010 when I was 13 weeks pregnant, Emily Elizabeth was very poorly and was not meant for this earth. My world fell apart, my much loved, much wanted baby was gone. All I have left of Emily is a scan photo and memories of the horrible week that led up to her loss. Losing Emily was the hardest thing I have had to and still have to deal with. I went from feeling upset to angry and back to upset in the blink of an eye. I could not look at pregnant women without being angry, they had what I had lost. I would get upset at things on the tv that involved babies. I blamed myself, I must have done something wrong. My emotions were all over the place and nobody really knew what to say to me. Of course my family listened and supported me, Emily’s Dad cried with me and hugged me when I sobbed until there were no tears left inside my body. But nobody could feel exactly how I felt and that is hard. I had one friend say to me, who was pregnant at the time “I can imagine how you feel” I still can’t talk to that friend. I wanted to scream at her, I wanted to say ” no you don’t, how can you, your baby is fine, mine is gone” As weeks went on after Emily I cried a little less and eventually I would get through a week without tears but it was always there just waiting for a little trigger to set me off again. Three months after losing Emily I was pregnant again. There was no joy, only panic, oh no what if it happens again. I did not enjoy my pregnancy at all, I was petrified going into the scans and when it came to Charlie’s birth I was so scared of what would happen. I could not rest until he was in my arms. Charlie was born 6 days before the 1 year anniversary of losing Emily. He kept me busy but I still cried. I was so grateful for Charlie, he was here, he was healthy and he was mine. He was not his big Sister and never would be I had two children but only one that I could hug. April 2012 I found out I was pregnant again 2 days later I started bleeding, angel number two. We went to the doctors but they sent us home and told us to just wait it out. I cried the whole day, my partner was with Charlie downstairs and I just laid in bed and cried. Not again, not another baby that I will never hold. I then fell pregnant again, this time I was even more worried. The scans came and went, my partner and I must have looked so odd when we were waiting for our scans, there was no excitement just a lets get this over with and please let this one be ok. Ollie’s birth was very quick and as I was more with it with his birth (Charlie was a three day labour so I was out of it when he eventually arrived) I was aware that he wasn’t crying, my heart sunk. Thankfully he was ok and apparently the midwives had said he may not cry because he could be in shock due to the fast labour but I hadn’t heard that. I had my two beautiful sons and my two angels. Ollie is 2 now and I still think about my angels everyday. I still cry for them, I look at the boys sometimes and wonder what my other two children would have looked like if they were here. Nobody really asks about them and if I bring them up I can sense the feelings of nervousness, the oh no what do I say. I do not want sympathy from people, yes it is sad of course. I just want people to acknowledge that they were here. That my babies existed. Baby loss is all around us and there are so many brilliant charities and associations now that offer support but finding them in the first few weeks is not always easy. I have followed Saying Goodbye which is a part of The Mariposa Trust for a while now. The Facebook page often posts little poems or sayings that explain beautifully how it feels to lose a baby. Seeing some of the comments that are posted on there makes me realise that I am not alone. I will end my story with some answers and advice this is of course just my thoughts and everyone is different…..
To anyone who has just started down this sad path of losing a baby, no the pain never goes away but you will grow stronger, the tears that now fall every day will start to fall weekly, then monthly and eventually you will keep them at bay until those triggers set them off. That could be a due date, a memory or in my case someone you know using your angels name. There may not be any warning they may just start to fall. I can now talk about my angels without bursting into tears and that took a long time to happen. Emily would have been five this coming January and I know that will be hard but I also know I will get through it. I know I will cry but the tears will stop and then I will carry on as I always do. To family or friends of someone who is going through losing a baby or has lost a baby in the past. Let them talk, be a shoulder to cry on and an ear to listen. You can not make it better, the pain will never go away but having someone who will acknowledge those angels is worth so much. Those babies, how ever long they were here, were special and loved please don’t let them be forgotten. For anyone that knows me you will know that I often find comfort in writing poetry. Here is one such poem. I am right here Mummy, please be strong. I am holding your hand Mummy and stroking your hair. You can not see me but I am always there. until the day when we meet again. I will wipe away your tears Mummy as you finally hug me. < Previous Hey Mummy and Daddy, you are doing GREAT! Newborn Safety – behind the images. Waiting For Santa…Christmas Mini Session Experience.